Podtrac has released its podcast ranking of the top 20 shows in May 2018. This listing includes new appearances for Daily Wire’s The Ben Shapiro Show and American Public Media’s In the Dark. This American Life held the top spot for another month. 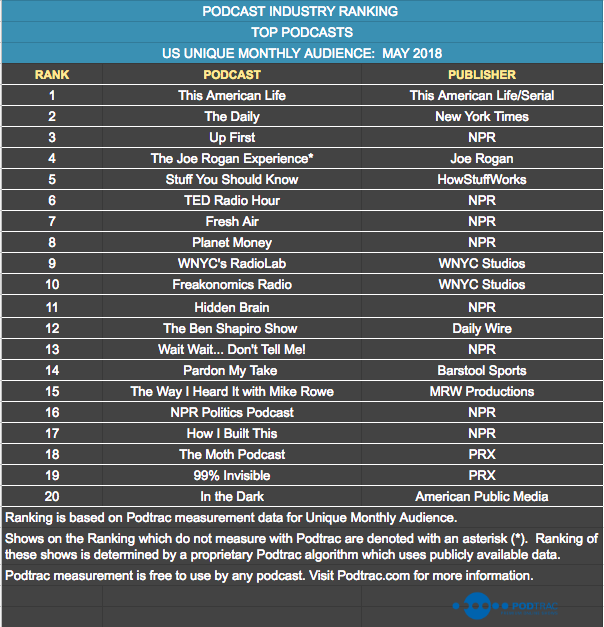 Multiple NPR programs are included in the May ranker, a fitting performance given the broadcaster’s continued dominance on the Podtrac publisher ranking for the month.